Apple announced plenty of exciting new things at their Let’s Talk iPhone media event today. A new iPhone was announced along with updates to the iPod nano and iPod touch product lineup. One piece of news did get lost in all the iPhone 4S hype though, and it is how the iPhone 4 is now available only in 8GB memory configuration for $99 with a two-year contract. The announcement was made at the very end of the keynote when Phillip Schiller (Senior VP, Product Marketing) was talking about the pricing and availability of the iPhone 4S. 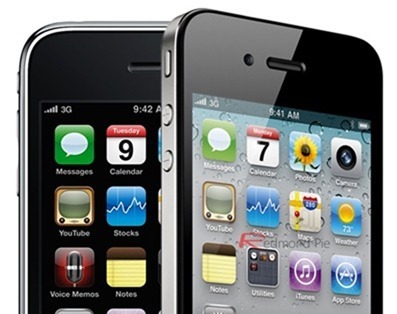 The iPhone 4 will now be available in two colors – black and white – for a cheap $99 with two year contract from AT&T, Verizon and, soon, on Sprint in 8GB memory configuration only. This is while the iPhone 3GS will be available in black color for free with a two-year contract on AT&T and Verizon. While Apple did not introduce a low-end iPhone 4S as every other report was suggesting before the Media Event, the company has still managed to devise what appears to be a successful plan to target all segments of the market. From a free 3GS with a contract, to the $399 64GB iPhone 4S, there is something for everyone. This is an excellent marketing strategy from Apple and it will go a long way in ensuring that the iPhone remains the dominant smartphone, at least in America. Folks who wish to have an iPhone without putting a hole in their wallet can get the 8GB iPhone 3GS. The 3GS is still quite a powerful smartphone; I’d even say this is better than those $99 low-end Android smartphones. This is coming from an Android fan-boy, so you know Apple is doing it right.